In full disclosure (#honorcode), that title is a little bit of a lie. Megan Beissner and I are back again as co-chairs of Hoos Online which runs this blog as well as recruits current students to answer questions, along with a few admissions deans, on online chats the dates of which we are currently working out. To refresh the memory of our loyal blog followers and for the information of the new future wahoos here is a little bit about us. We are both third years from Northern Virginia, Fairfax County specifically, and West Springfield High School if you want to get really specific. Megan is in the McIntire School of Commerce and is completely obsessed with the basketball team and I am a history major whose opinions on all of the food options on grounds and in Charlottesville are way too extensive and thought out. 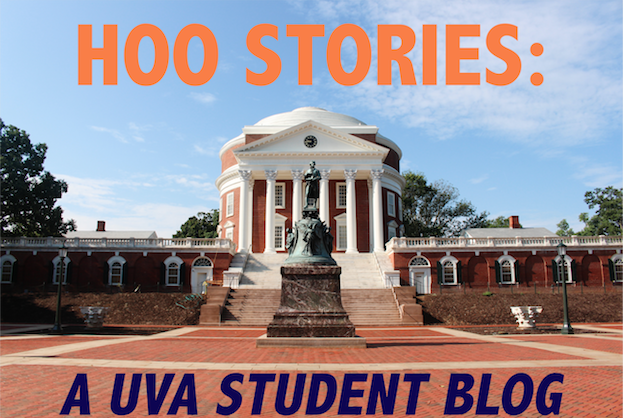 Anyway, we are incredibly excited to have some new faces writing blog posts this semester as well as some faithful old-timers and we hope you enjoy reading them though the written word does not fully convey how awesome UVA is. To get the full effect you will just have to come visit! Until we see you on grounds, please enjoy this picture from Lighting of the Lawn, my favorite UVA tradition.